KENNETT — Registration for the KAU Little League spring, 2014 baseball and softball season is now open and will continue through January 2014. KAU Little League is open to students ages 4 through 18 who attend any public or private school within the boundaries of both the Unionville-Chadds Ford and Kennett Consolidated School Districts or who live in the geographic boundaries of those districts. Registration may be completed by visiting kaulittleleague.org and clicking on the registration tab. In both KAU recreational baseball and softball, divisions are organized to introduce increasingly competitive play for each age group. In most divisions, KAU offers a 12- to 16-game regular season beginning in early April and concluding with end-of-season playoffs in mid-June to crown a champion in each division. Each season, every team is a “new” team. 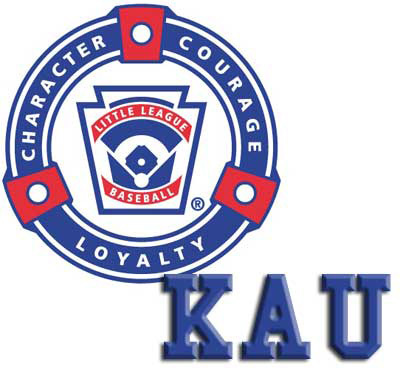 Every player who wishes to participate in KAU baseball or softball makes a team. KAU conducts player drafts to attempt to give every baseball or softball team an equal chance of succeeding in the regular season. Division commissioners, team managers, and the league player agent all are involved in each division’s draft. Pre-season evaluations help ensure that players of different skill levels are divided as equally as possible among the teams during the draft. As KAU ‘s programs are “community-based” and emphasize competition suited to players of all skill levels in every division, there are no “tournament team” selections or obligations during the regular season. KAU has an established selection process in which coaches in every Division nominate and vote for post-season All-Star Teams for baseball and softball. These teams are selected based on demonstration of outstanding play and sportsmanship during the KAU regular season. Each year, different players may be selected to the All-Star Teams, which compete in local and/or district, state and international Little-League sanctioned tournaments mostly during the month of July and possibly into August. KAU offers its program at six different fields — including three lighted diamonds — throughout Chester County. For the youngest players, day games are scheduled. As they move up in the league, they experience the thrill of playing games “under the lights.” For KAU players who participate on middle school and high school teams, KAU schedules its games so they do not conflict with the school teams’ schedules. Players can play both KAU and school ball. KAU baseball programs are offered in 10 different divisions while softball is played in five different age-group divisions. The Seniors and Big League Baseball Divisions—which play their games on the traditional 90-foot baseball diamond–are open to players ages 16-18. The Juniors Division includes certain 13-, 14- and 15-year-old players. Again, the Junior, Senior, and Big League Divisions schedule their seasons so as not to conflict with local middle school and high school teams’ schedules. The Intermediate Division is open to certain players ages 11-13. All games are played on a larger 50/70’ field rather than the traditional Little League 46/60’ field. The size of the 50/70’ field helps prepare the players in this division for the transition to the 90-foot field dimensions at the middle and high school levels. This division also uses “real baseball” rules such as leads, pickoffs, etc. Players age 13 have the choice of registering for the Intermediate Division or they can register for the Juniors Division. The Juniors Division is for more advanced 13-year-old players. Thirteen-year-olds must decide which division they want to play, and sign-up before the close of registration. Due to the difference in season start dates, there is not the option of registering for the Intermediate Division and then deciding to move to the Juniors 90-foot program and vice versa. All players age 12 play in the Intermediate Division. Pre-season annual evaluation will be used to determine whether an 11-year-old plays in the Intermediate Division or in the Minor A Division. It is estimated that one-third to one-half of the 11-year olds in the Intermediate Division. Players in the Minor A Division have the chance to experience both 46/60’ and 50/70’ baseball. All 10-year olds and some 11-year olds who do not play in the Intermediate Division compete in this “kid pitch” division. Most games (60% or more) will be played on a 46/60’ field. Some games will be played on the 50/70’ field. All 9-year-olds play in the Minor B Division. In Minor C, 8-year-olds begin to “kid pitch” in preparation for the move to the Minor B Division. Seven-year-olds can qualify for this Division if they demonstrate required pitching skills. In Minor D, 7-year-olds play “machine pitch.” Six-year-olds who have had at least one year of T-ball experience may also play in the Minor D Division. T-ball is offered for 4-, 5-, and 6-year-old boys and girls who are first-year players. KAU also offers a baseball Challenger Division for children and youth ages 6-21 with special needs. The Challenger Division plays its games on Sunday afternoons. In KAU softball, competition is offered in five different divisions. All games are played on the traditional Little League 46/60’ field. The Rookie and Minor Divisions (ages 7-8 and 9-10) emphasize fundamental softball skills and understanding of the rules. In the Majors (ages 11-12), Juniors (13-14), and Seniors (15-16), the emphasis is on playing games against other Little League program’s teams throughout Chester County and preparing for independent tournaments. For more information and to register, visit www.kaulittleleague.org and click on the registration link.